After installing Skype Trunking, it’s possible to allow every employee to make low-cost SkypeOut calls or make free call to Skype Users. 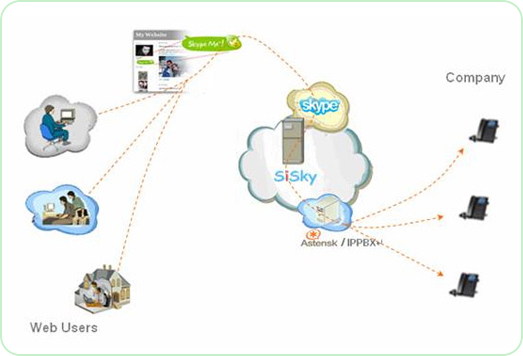 Yeastar provides perfect Skype Trunking solution. 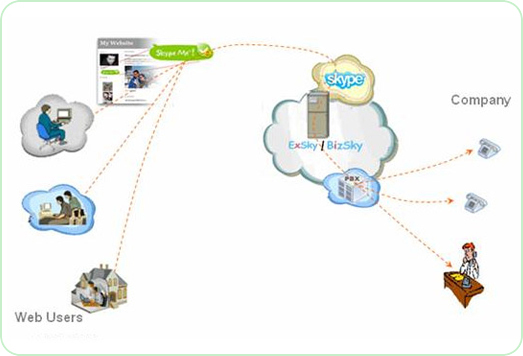 Connecting Skype Gateway to the company PBX, every employee can call any Skype account from his regular business phone by dialing a dedicated number selecting a name. 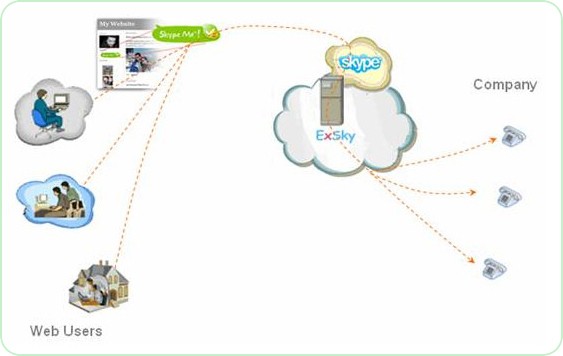 The Skype Gateway immediately directs the call to the corresponding skype account on the internet. Moreover, users can make low-cost SkypeOut calls to any landline or mobile phone but keeping the dialing habit as usual. Free phone calls over the internet with superior sound quality call. Respect users’ privacy by using encryption techniques. Saves more than half on international calls compared with non-Skype VoIP solutions by using SkypeOut function. Greatly reduce the domestic long-distance calls by taking advantage of Skype Unlimited and Skype Pro calling plans. Have no charges of building up infrastructures for other VoIP solutions. 1. Independent Web Call system. 2. Connect into Enterprises’ traditional PBX (PABX) system, in which idle Extension ports and CO ports are necessary.